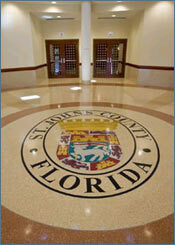 Economic Development is the number one priority of the St. Johns County Board of County Commissioners. The Board shares a unified commitment to attract new business development, to expand and diversify the tax base, and to create jobs for local residents. Success in economic development ensures St. Johns County's long-term financial ability to provide ongoing quality services and infrastructure and preserve the quality of life for its residential and corporate citizens. Insofar as these objectives are generally served by the enhancement and expansion of the local economy, St. Johns County will give consideration to providing economic development grants as a stimulus for new business development within the County. As referenced by Ordinance 2014-30, St. Johns County has an established point system for determining a base value an applicant could receive for each of these categories: Locating a new industry, expanding an existing business, or developing speculative space within the County.